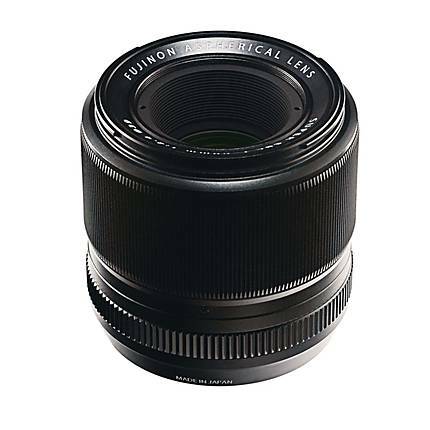 Designed specifically for the Fujifilm X-Pro1 camera with an APS-C sensor, this Fujifilm 60mm f/2.4 XF Macro Lens is a short telephoto lens equivalent to 90mm in 35mm format. The fast, bright f/2.4 maximum aperture makes shooting in low light possible, and provides pleasing bokeh (the out-of-focus portion of a photo) with its 9-blade aperture design--ideal for dramatic portraits. To take advantage of the X-Pro1's mirrorless design, the rear element of the lens is as close as possible to the sensor, minimizing the back focus distance appreciably. The lens construction includes a metal barrel, Super EVC coating for improved optical performance, and it delivers improved center-to-edge resolution and brightness free from chromatic aberration. This macro lens has a maximum magnification of 0.5x, and the aperture ring has 1/3-stop click stops for more precise exposures. The internal autofocus drive of a lens.